Keep your yarn from getting tangled while you knit, by covering it in a Skein Coat. 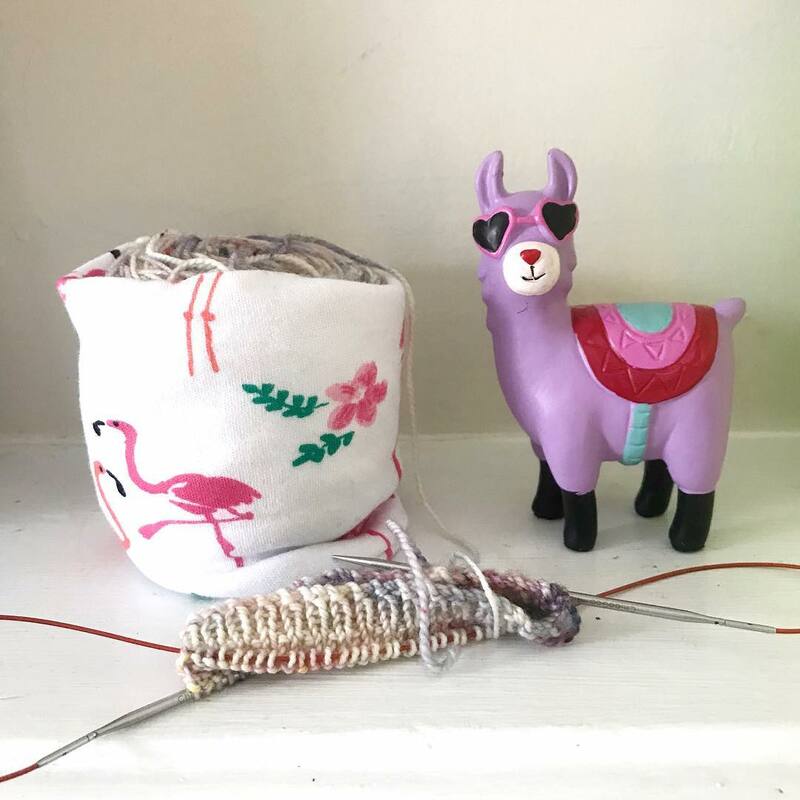 The stretchy fabric hugs to your cake of yarn, keeping the cake contained while you pull your working yarn from the center. 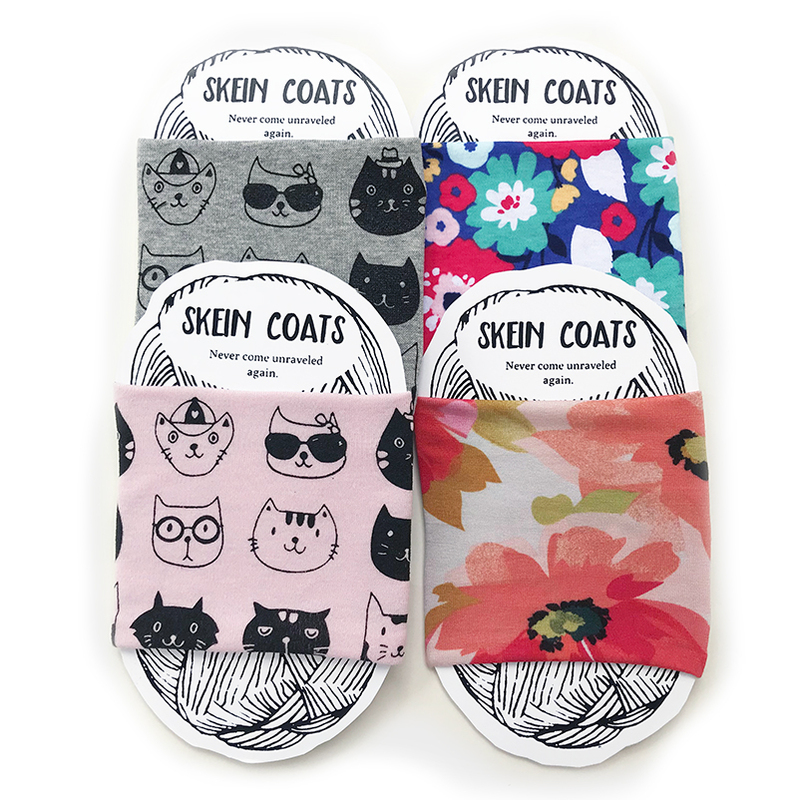 Skein Coats are compact and squishy so you can easily carry them in your notions bag, and are reusable.